Reading, Burghfield, Sonning, Twyford, Wokingham, Goring, Theale, Tilehurst, Thatcham, Woodley. If your area isn’t listed, please get in contact as I’m sure we can help you. Please click here to view a summary of our cleaning services. 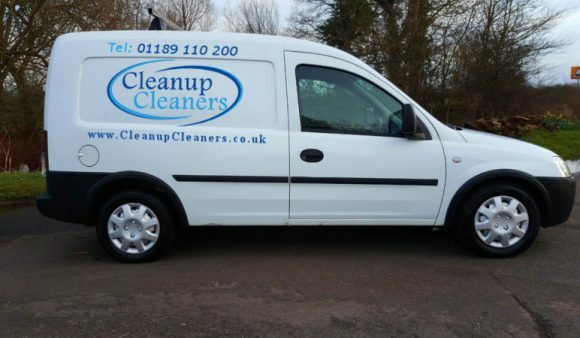 A local, professional company with fully trained and insured cleaners which prides itself on delivering customer satisfaction, fairness and high standards. Cleanup Cleaners have invested time and investment to make sure that we supply you with industry first cleaning experience. Through on-going training and personal development, Cleanup Cleaners have the expertise and the know-how to provide a professional cleaning service, using up to date technology. All our work is insured with a market leading insurance company. We offer a 100% Satisfaction Guarantee on all of our bookings, leaving you confident that you have chosen the right company to carry out your clean. In the unlikely event that you are not totally satisfied, let us know within two working days and we will return to put it right, at no extra charge. Where we can, we use cleaning products that are environmentally friendly. As part of our health and safety, we keep all our COSHH sheets up to date. Our staff are experienced and fully trained in all aspects of cleaning. They take pride in their work and clean until the job meets ours, and your, high standards. Would you like a no obligation quote?